Haraldur Diego called planes the means of gaining freedom to be somewhere else. 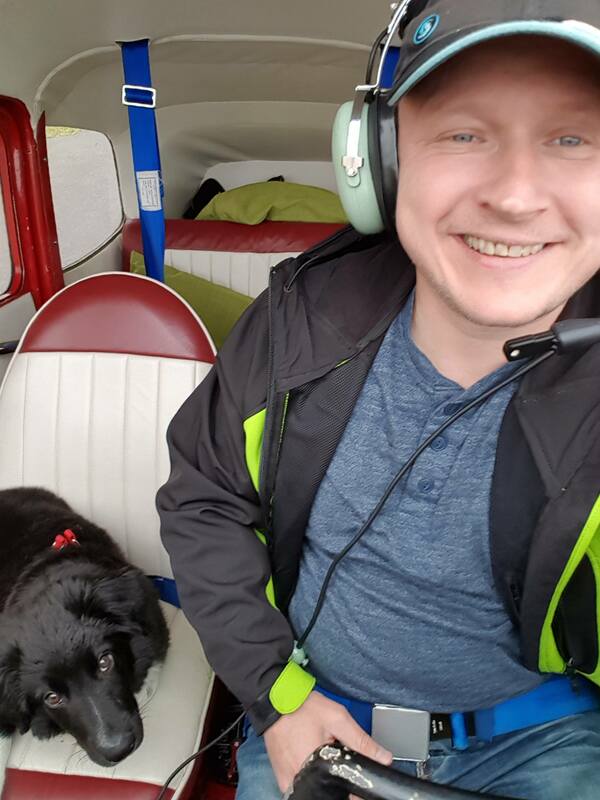 He experienced this freedom for many years, from very first flight in the age of 5 as passenger of his uncle’s Cessna 172 from Reykjavik to Kirkjubæjarklaustur. After years, he made his first solo flight in flight school of California, US, where he got his PPL just after six weeks course. Six years after he obtained Icelandic pilot license, it was 1998. 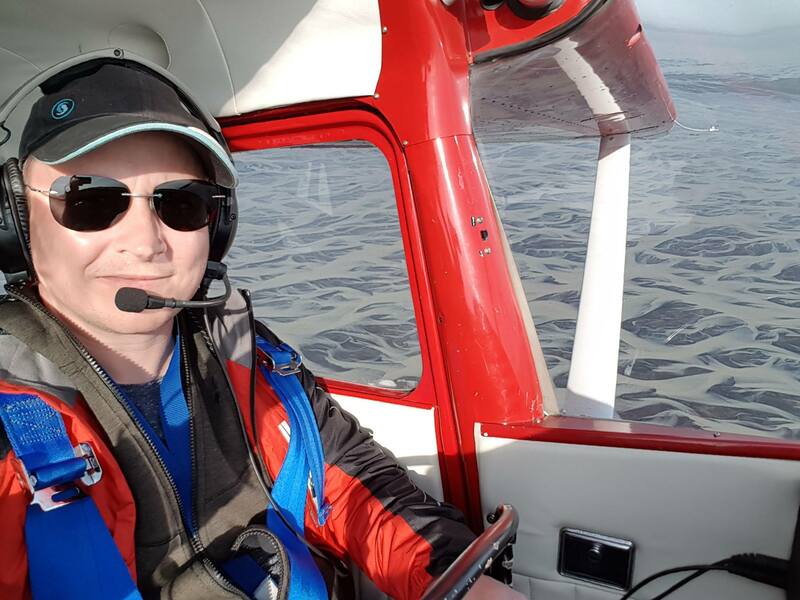 Remembering his way into the sky, Haraldur, as president of AOPA Iceland, told Flugblogger how easy it is to become a pilot in this country and do everyday flights. What was your first flight experience as a pilot? When I was 19 we had these theme days in high school, when you pick something you were interested in and learn more about that I, of course, picked a flight school, so me and my friend went for a trial lesson. In that trial lesson the flight instructor told me to take-off, even though I had never touched a plane before, but he said “Pull when I say”, so I did. We got airborne, and I flew most of the time. It was awesome! Many, many years later I noticed a book at the flight school, where they had diligently written every first flight down, and with whom. I found my name and found out that it was, a now good friend, Torfi Sigurjónsson. Two years later, aviation was still high on my list of things I wanted to do, so I went to the USA to gain my certificate. Let’s say we have a person, who has same feelings. What difficulties he will meet on this way in Iceland? The first and biggest difficulty is your mind. Usually this is the biggest obstacle for anything. You might think flying is too dangerous, or hard, you wonder if can do it and so on. Then, when you start training and find out “Hey, it is okay. I am not dead, the wings haven’t fallen off, and I can even land that plane safely”. Then bit by bit, baby steps all the way you gain proficiency. You get to the point of having confidence in what you do and your self-esteem grows until you can’t remember why it took you a long time to gather the confidence together to make that first step into a flight school. I think most normal, healthy people can become pilots, but you have to have the passion and stamina to continue. Of course, another obstacle is money. Nevertheless, it is a lame excuse. If you want something badly – work for it. In addition, health can be barrier, yes. If you have a heart decease or several deceases, or conditions that prohibit you to meet medical standards for aviation. It might be, but those cases are rare. After you get your certificate, another issue arises, which is not so obvious but still needs to be addressed. You have to make friends within the aviation community. It’s going to be hard to be doing this all alone. Aviation is not all about planes or regulations. It’s about the people that fly. And, generally, all those interested in becoming pilots are welcomed into that community. You are not flying solo when you enter in the aviation world. Doing that will kill your interest eventually. Fishing or golf is the same. If you are going fishing alone, standing alone in a salmon river or something… Nah! It is all about the company and the community. That what keeps us there. Haraldur Diego // Photo by Þórður A. How to join this community? How to become a pilot in Iceland? 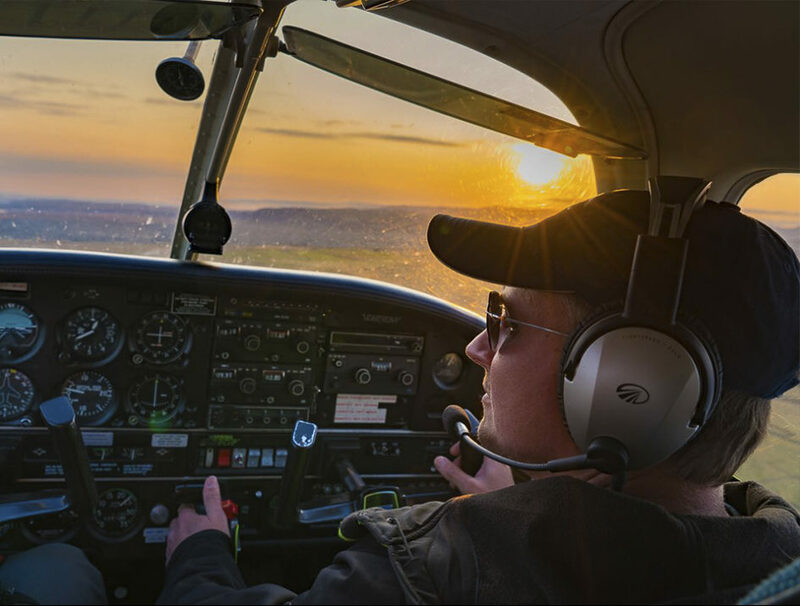 Four main schools in Iceland teach for the private pilot’s certificate. Two here in Reykjavik – Geirfugl and Flugskóli Íslands, also Keilir in Keflavik, and Flugskóli Akureyrar in Akureyri. They all go by the same syllabus that is required for the EASA PPL. I believe both Flugskóli Akureyrar and Keilir have been doing online courses as well as the regular ground school in class. For example, when I did my PPL in States, I read, I never did a classroom study. It was all one-on-one and myself reading. But within Europe, the requirement is 220 hours of ground study, and it’s a bit different on how the schools complete that task. So, a person lives in Ísafjörður and wants to become a pilot, should he move to Akureyri or Reykjavik? Well, he would have to check with the schools about what to do. What he will got after these courses? Some kind of paper? Now we’re only talking about the academic portion. Then he has a practical training to do. I would recommend a student to do some practical training alongside the ground study, at the same time. That helps a lot with understanding the material. The whole PPL training can easily be done within a year – and many can do it in a half of that time or even less. The minimum flying time for the PPL is 45 hours, but the ground school may take up to three months. All in all, you could be able to finish in about 5-6 months, if you go at it with passion and interest, and have good weather when you do the practical portion, and that usually is during summer. Then he will have to pass both academic exams with the school and Samgöngustofa (Transport Authority), and complete a test flight with an official flight examiner. After all that, the PPL is done. Let’s say, this person got his/her PPL, now want to get a plane. What is the best way? 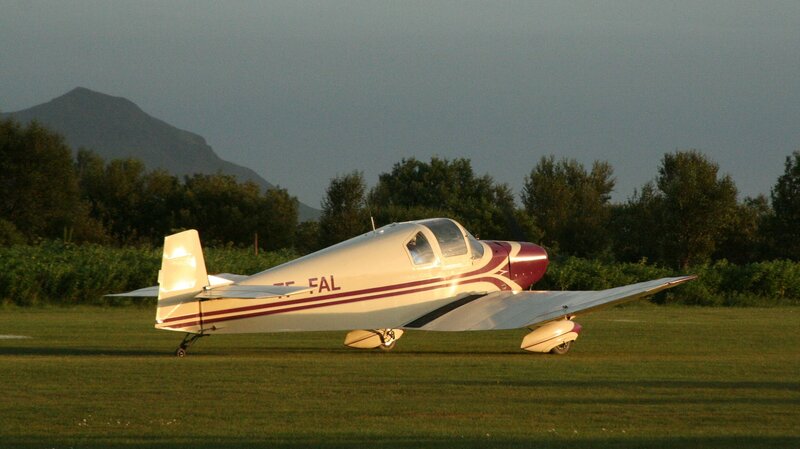 The most economical way is to get into a flying club, or even become a part-owner of a plane. That’s the way most people gain access to a plane. But in a club, you might not get a plane when you want it, so there are pros and cons. If you have your own plane, that’s all yours, you pay for everything yourself. And that might be a lot. You need to find a balance between your budget and your wants. 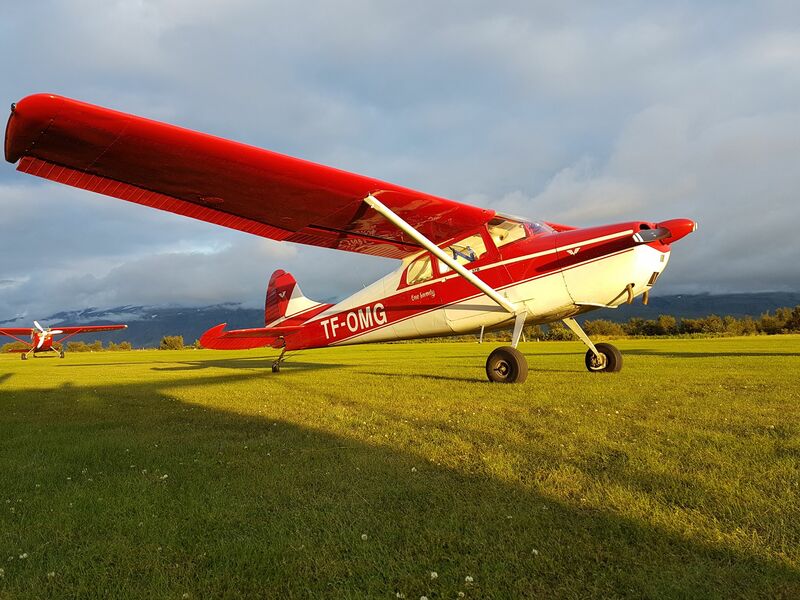 I’m a member of two clubs, and mainly fly the planes of one club, Vængir. We have four planes now, and mostly I fly a Cessna 170, TF-OMG, which is not heavily reserved, because many club members don’t have a qualification to fly that plane. I know that you also had an airplane. Tell me about it. The only aircraft I ever owned is TF-FAL. It’s Falconar F-11A, and it is a stunningly beautiful plane. It looks like a Jodel D-11, understandably, because it’s almost the same design. But Jodels is a French design, while Falconar was a Canadian design, and built there. The main difference between a Jodel and that plane is the main landing gear, which is a spring-leaf type on the Falconar, but struts on the Jodel. So, landings with the Falconar are a lot smoother than in the Jodel, in my opinion at least. And the landing gear is one of the things that make the Falcon, as I call it, one of the most beautiful planes here. How difficult to find such good plane in Iceland? How you can describe the market? Is it cheap to deliver it to Iceland? Freight by ship to Iceland is always expensive. Shipping a plane in a container means that you dismantle it at the departing end, and reassemble here. But if it’s a good plane, you could probably fly it here. Yes, or even direct from Scotland if you buy the plane in Europe. But you would want to have an extra fuel tank. My plane came in a container from the States, because it wouldn’t have been possible to fly it here. It can’t carry that much fuel. And usually we don’t ferry fly a very small plane over the North Atlantic. Is it easy to register plane from abroad in Iceland? No, nothing in life is free. You have to pay to Samgongustofa (Transport Authority) a fee. The amount depends of how heavy the plane is in terms of maximum take-off weight. You would have to have airworthy condition certificate or make it airworthy here. If it airworthy in Europe then it´s just a matter of paperwork here. If you take it from the States, you would have to check it a bit more, because not all modifications to a plane would be allowed within EASA countries. That is why I said it’s easier to buy a plane here or in Europe. In terms of taxation, aircraft do not carry any duty tax, but you have to pay the VAT of 24%. And how long is the registration procedure? It depends where you are buying it from. If in Iceland it takes couple of days or maybe a week with a change of registration. If you buy it in Europe it maybe from several days to month. You should keep in mind that when you buying a plane, you would have a mechanic look carefully through logbooks and check if everything has been done as it should. That is one part of pre-buy procedure. Then, depending if you going to fly over or containing, it would be those days of transport. If you make a deal it can take you a couple of weeks maybe. How the number of pilots in AOPA Iceland changes last years? We are now around 160. We were 120 just about a year ago, so, we’ve expanded just a little. The numbers are growing, the activity is growing and the number of planes is growing. And to add, the fleet is getting younger, as pilots are buying newer planes. How many Icelandic GA pilots are not in AOPA? Why aren’t all pilots within AOPA? I think it has to do with our approach of marketing, letting people know why it’s important for private pilots to become members. So, what we’ve been doing lately is getting out of there what we’re doing to maintain and expand their freedom to fly. 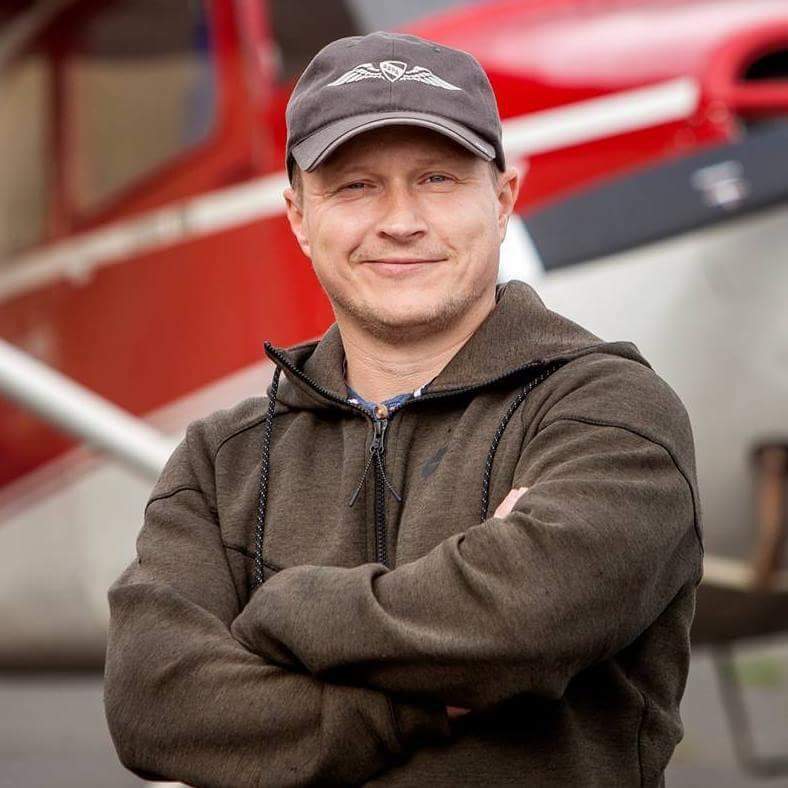 What are three main reasons for Icelandic pilot to be in AOPA? That is a very good question. First thing, I would say, is community. Nobody should be alone within aviation. Second, we do a lot of work behind the scenes that pilots don’t necessarily know about, but would feel the effects if we didn’t. We have regular meetings with the authorities, we carry on protecting our airports, and fight rulemaking that is not in the interest of general aviation. That latter part is mainly done through IAOPA (International AOPA) which we are members of. We use our influences there to gain access to EASA, and have made good progress. The third thing is education and being in front of leading a safe mindset within our pilot population. And of course we also have to let people to know how fun it is to fly. We have to get more people into aviation. That’s why I’m always telling people to invite friends and family to go fly with them. That is one of the first steps into making new pilots, getting them into a plane, even allowing them to take the controls for a while. And when you do that, make it an enjoyable affair, not by showing off your skills with steep turns and stalls or something like that, but just easy flying. You don’t arouse people’s interest by making them scared. This is how we can change perception of the general public towards private flying, and get more pilots active. What are the main purposes for GA flights in Iceland: sightseeing, maybe looking for sheep, transporting something? I think it’s mainly for pleasure and the possibility of travelling in speed and with ease. It is an unreal freedom you feel when you’re able to fly over the land and decide to drop in somewhere for a cup of coffee or visit friends. I’ve had Sunday mornings where I would take off and would not have a plan on where to go, and end up having lunch in Akureyri. The fact that you can do that, puts you in a special place as well. There are not many that can fly a plane, or have the possibility of being able to see what you get to see on a regular basis when you can fly. It is a privilege. And perhaps, especially here, in Iceland. For instance, me being able to combine two hobbies, photography and flying, puts me in a unique place. Sometimes, when I’m over some beautiful sight, I think to myself; I’m the only person in the world witnessing this here, right now. No person in the world gets this, except me. Those moments I cherish and am so thankful for. All in all, there are many uses for GA. One of our members uses his plane to monitor Katla – the volcano. Another one to transport people from and to Hornstrandir, where you’d have to take a long boat ride otherwise. There are others that have been flying to find sheep, or counting seals, tracking wildlife or for photography – like I do. You can have so many reasons to fly, and it’s almost always fun. So it’s not just leisure flights. Many are, but it’s not the sole reason. We tend to make up reasons to go flying, like going swimming in a pool far away, or having lunch in Vestmannaeyjar and then fly back, just because you can. I have friends that fly to their summerhouses in Hornstrandir. It would be a major undertaking to get there if they didn’t have a plane to do so. If there are so many purposes for flying, what you can tell me about amount of general aviation flights in Iceland daily? Yes, on a good day with your radio you will hear six, seven planes in the air same time. I can say it in terms of flying hours of planes. First, there is a difference between individual owned plane and club plane. That single individual might fly ten hours a year. That is terrible, tremendous waste. Other fly their planes 45, 60, up to 100 hours a year. A club plane would perhaps fly 150-300 hours a year. What are the main destinations for GA flights in Iceland? It depends where your plane is located. I can’t really say where the hottest destinations are. Is there any specific routes of GA flow traffic in Iceland? But I would say the most traffic is in the South. Training aircraft and private pilots flying. They might take off from Selfoss or fly from Reykjavik, or Bakki, or Mulakot. 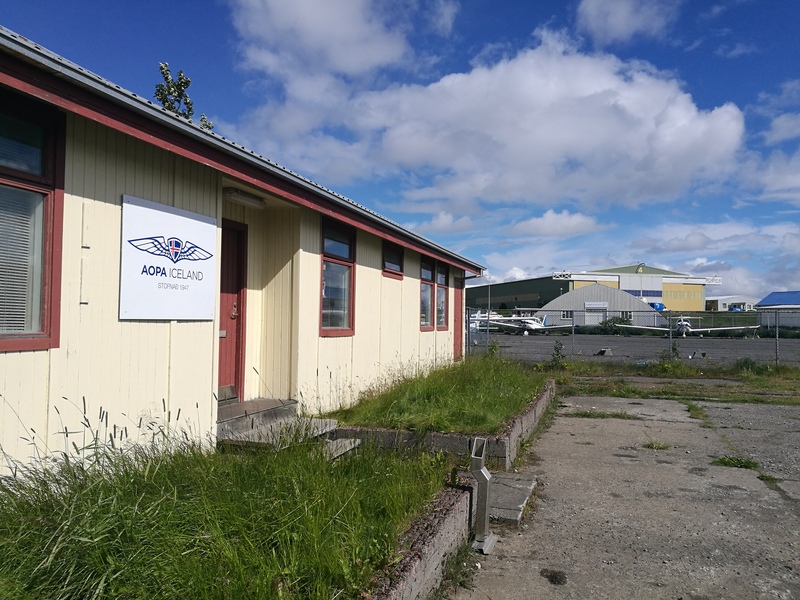 Is general aviation developing in Iceland? It is. It’s growing, it’s getting better, and I hope it’s also becoming safer. One thing in particular that has changed is we have been able to use regular 95 octane fuel for our planes. There is a huge price difference in that gas and avgas, and when flying is cheaper, people fly more and become more proficient. In terms of safety, I see that pilots don´t do the crazy things they did 10-15 years ago. I mean, flying low and doing stupid stuff. I hope the trend will continue, because we don’t need showoffs. I want to arrive home safely, I don’t want to die during flying. Since 1999, when we have terrible catastrophe with Cessna 206, which run out of fuel and crashed in the ocean just out of Reykjavik airport, we had a long period without fatalities – until 2006. Then two proficient pilots crashed into power electric line, which led to a house. And they had no reasons to be at that low altitude. So, many lives would be saved if people don’t make a decision like “Let me show ya what I can do.” We don’t want those losses of lives. Does Icelandic GA feel touristic flow on itself? For instance, there were visitors that came from Belarus the other day. They wanted to come here because it’s quite popular. They flew all the way over. I hope that more pilots around the world will come with their airplanes to visit Iceland. Of course, because of my position, I got many emails with question about how to do it. Flight schools have been very active in attracting foreign students, especially Keilir. For the last couple years, mainly last year, I would be hearing English on the radio more and more. This happens almost every time I fly, you would hear some student calling on a training plane, and I think it’svery good. You could also see the influence of tourism in regards of private pilotswho would be contacted by tourists who offer to pay for the rent of a plane and fuel and go flying, without the pilot being paid to do so. That’s also a good thing in my mind whenprivate pilots are able to fly more. Is it actually easy to come to Iceland by own plane? Even from outside EEA, like Belarus. You would still need visa to enter the country, if you come from there. Also registration for aircraft and airworthiness, insurance – basics that must be in aircraft. For example, this guy from Belarus had to have a special insurance for Northen Europe. It is because aviation insurance based on where you are. You can make insurance for your plane only for Iceland. It is both for a plane and for people. Liability insurance is mandatory, but also you need a CASCO. How you would describe the situation with aviation legislation in Iceland? In terms of usability, simplicity and freedom. I would say that the legislation in Iceland is very complex. We have the same legislation as Europe, because Iceland is a member of the EASA(European Aviation Safety Agency). Every aviation legislation from there is implemented in Iceland. Through IAOPA we have been winding back the complexity of aviation legislation here. That has been evident in many changes of the regulations: mainly flight crew licensing, and maintenance, which are the biggest parts, and on medical standards. So we are making progress. Legislation in Iceland the same as in Denmark, Sweden and almost every country in Europe, but, I think, Samgongustofa in Iceland is reading the regulations as they would want it sometimes. It’s wrong, because no one can just say “We interpret this clause this way”. I’m hoping that regulation is getting more user-friendly. In their earlier years, EASA went way beyond any logic in their regulations, but now it’s winding back. They have GA roadmap initiative, and therehave been many changes made in the last few years and will continue to be made. However, the European legislation machine is a very slow one. That is why it’s taking so much time. If you can to change one thing in aviation legislation here in Iceland right now what it would be? Right now, from the top of my headis this one ruleIt requires that if a person speaks English on the radio, he or she will have to have an endorsement in their pilot’s license that states that they have at least an ICAO level 4 qualification. Many private pilots don’t have this, and student pilots do not when they start their training. They still speak English on the radio, because they are proficient enough, but the rule says that you need this endorsement. And these endorsements last like four or five years, and then you need to have it re-evaluated, by going to a school or an official evaluator and pay up to 20,000 ISK. I’ve never had to pay to speak English, but this is just one of these crazy rules, that was invented for nations, which maybe don’t have such level of proficiency of English like Icelandic people have. Moreover, they changed ATC language in Keflavik to English, so inorder to get to Keflavik you have to speak English, and then many private pilots can´t legally do that, unless they have the endorsement. In your opinion, what is the main reason for the development of GA in Iceland not being as fast as it could be? I think it is a matter of… I would not say “money”, but, of course, money is always an issue. It is expensive to do maintenance, and keep plane airworthy. But maybe this is the main reason. We don’t have too burdensome regulation or “red tape” here. I think we need more people into aviation and more activity within a community. I would not call it “slowing down”, because we are not slowing down here. Nevertheless, you would go faster without these factors. Yes, if it wouldn’t be so expensive. For example, on of changes in the rules is CS-23 standard, which dictates airplanes manufacturing and design. EASA has loosened up on the certification standards, not by making airplane unsafer, but by means of simplifying the certification process. That might lead to cheaper airplanes, and more manufacturers, which could lead to more new planes in the market, because of their lower prices. One of the initiatives that IAOPA is promoting is for aircraft owners to be able to use uncertified stuff in their planes to have more advanced avionics than we are used to. Because most of this type of equipment is old, we want to use new equipment even though it’s not certified. Because we don’t need a certification, for example, on a radio that we use for visual flying (VFR). It would not be a total catastrophy if it would fail, because we don’t even need a radio when we are flying outside of controlled airspace. What hinders aviation advancement might also be the strict rules that have been set, but we are getting back. We need more people into aviation. We want to make it cheaper. Maybe we just need to find different purpose for flying.